So, disclosure. This was not at ALL what I thought it was going to be. But, apparently, it is what I needed. This book was a lovely surprise in every way. A graphic novel, it was a quick read, and I truly wish it could’ve continued on longer. The art itself was beautiful. Every character was different and gorgeous. Like, seriously, it’s been a long time since I’ve read any sort of comic that was so unique and intricate with its design. Every character had a reflection of their personality in their design, and it was GORGEOUS. The writing itself was also beautiful. Like, sincerely, this story was so unique and had the potential to seem very overbearing with its message. However, the world presented its moral with such an underlying ‘these are just the facts of this world, and should be of ours’ message that it was impossible to find any grievances with it. The plot presented very pertinent controversy in such a classy and compelling way. I was thoroughly impressed. This book showed us kindness and acceptance in characters in a way that came so naturally–it was incredibly thought provoking, and presented ideas that are much needed in our hate ridden world. Also, it had a very interesting dynamic involving consumerism taking over the fairytale land that was also super intriguing but was not the central focus of the novel (sequel, anyone?). This book 100% threw me back into a fantasy kick. 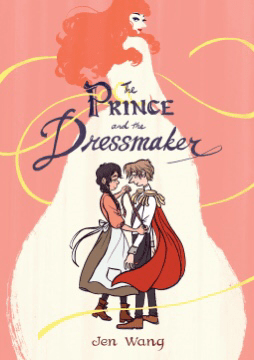 I love nothing more than a good fairy tale, and this new take on the classic style really got me in the mood for some princes and castles. This is, sincerely, one of my favorite reads this year (read in 2017). As I said, very different and very surprising. However, I adored it, and if you’re willing to try something new and different with an open mind, I can’t recommend it enough.